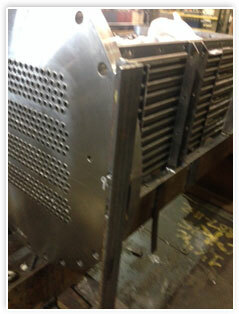 Hahn & Clay has over 70 years of experience in stainless steel fabrication and repair. We are the most qualified fabrication and repair facility in the United States for stainless steel heat exchanger fabrication and repair. Our QA program and welder qualification are second to none. We maintain the highest level of skilled craftsmen in the industry.